What are basic requirement to install Accounting Software”? RAM: 1 GB or more. Hard Disk Space: Minimum 8 GB or more free space. .NET Framework: .NET Framework 4.0 or Higher Version OS (Operating System): Microsoft XP, Microsoft Windows 7, Microsoft Windows 8.1, or Microsoft Windows 10 Supported. How to install Accounting Software”? Step 1: Download Plus setup. Plus can be install from CD/other media or setup can be download directly from internet. To download, go to: http://www.aakashinfo.com Step 2: Run Setup. First run Setup. By clicking on run, next screen will be “software license agreement”. Now click on “I accept the agreement” and press “Next” button for next screen. Next screen will be from where you want to run your Plus and you will find the path ‘c: \plus2inst’. Now, again press “Next” button. Now, next screen will be welcome screen and then press ‘NEXT’, you will find path where you want to install “Plus Accounting Software”. Next screen will have following options: •	Software: Here, you have to select which software you purchased. •	Type: Here, you need to select type of software i.e. single user or multi user. Then, Press “Finish” button to complete your installation. Step 3: Now, Double click on icon to start “Plus Accounting Software”. What happens to plus license if I format my hard disk? In case of system formation, you need to surrender your software first from “Exit” menu. After formation of your PC, you just need to run setup and install software. And then go to “Exit” menu and click on “register” then fill all the license detail and then “Activate”. What happens to my “Plus Data” if I format my hard disk? It is strongly recommended for users to take back-up on external devices such as pen drive or hard disk or any other media devices. To format your hard disk, copy plus folder in external devices such as pen drive or CD drive or HDD. After formatting of your system, copy back plus folder in your system and run plus setup to re-install plus accounting software. What happens to my data if I convert from demo to license? Data entered in Demo version of plus will not be affected. 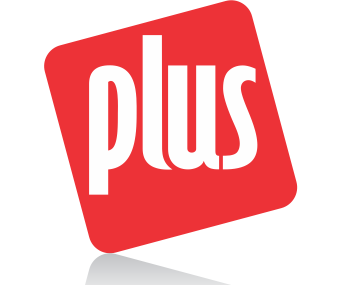 Demo installation of plus can be converted into original software just by purchasing software and registering it. After starting plus software, list of existing companies will appear on the screen. To create new company, press F3 key or click on NEW button. In company creation screen, enter all relevant details for the company (firm) like State, Language for operation, Company Name etc. Additional details like company PAN, address detail, company log etc. can be given by pressing Next button. Click Finish button to create new company. Note: To change details of existing firm, press F4 or click EDIT button. Master -> Account In this option, list of all existing accounts will be displayed. To create new account just press INSERT or click on the ADD button. New account creation screen will appear. In this screen, Please fill details for the account like Account Name, Alias or code, group for the account. Depending on the account’s group, different other details will be shown. Enter relevant details here and press CTRL+ENTER or click on OK button to create new account. All the behavior of an account depends on group of that particular account. Following is help regarding selection of account group. Note: New account can also be created from accounts list at the time of entry by pressing F3 or clicking on NEW button. To edit existing account, press F4 or click on EDIT button and press CTRL+Y or click on DELETE to delete. Option: Master -> Product Here, list of all existing products will be displayed. To create new product, just press INSERT or click on the ADD button. New product creation screen will appear. In the product information screen, enter all relevant details of the product like Product name and press CTRL+ENTER or click on OK button to create new product. Note: New product can also be created from product list at the time of entry by pressing F3 or clicking on NEW button. To edit any existing product press F4 or click on EDIT button and for deletion, press CTRL+Y or click DELETE button. How to Do GST Setup in Vat Company in Plus 2.0? How to add GST Details In Plus 2.0? How to add GST Slab & GST Commodity Auto setup? It is Possible to transfer VAT Tax Class Directly into GST Tax Class?? If you want to transfer Vat tax class into GST tax class then follow below steps. Click on Setup > GST Setup >Slab And commodity > In the slab and commodity there are both option VAT tax class & GST tax class. In Vat tax class we can see tax slab (For Ex. Vat 4% + 1%, Vat 12.5% +2.5%...etc.) For Ex. We transfer Vat 4%+1% into the GST 5% then select the GST 5% in GST Tax Class. How to Add HSN Code In Plus 2.0? How to Add Party GSTIN No In Plus 2.0? How to do composition setup in Plus? How to do export (0.1%) setup in Plus? How to secure my company? How to create sale bill? Option: Transaction -> Sales Entry -> Sales Invoice List for Sales invoice will be displayed. Press INSERT or click on NEW button to add entry. In sales invoice entry, enter details like Cash/Debit bill, Party name, Inv. Type, Date, Bill no. etc. Than enter product detail, like Product Name, Qty, Rate and Amount. Details of more than one product can be entered by pressing enter on blank line. To edit existing entry, press ENTER on that entry and press CTRL+Y to delete entry. Enter details of expenses (Freight/Discount etc.) and VAT/GST and press CTRL+ENTER or click on OK button to save entry. How to add sale return bill? Option: Transaction -> Sales Entry -> Sales Return From above option,Sales return entry can be entered. Method of entry and other options are similar to sales invoice. How to create sale challan bill? How to create sale order? How to create sale Quotation? How to create purchase return? Option: Transaction -> Purchase Entry -> Purchase Return From above option, Purchase return entry can be entered. Method of entry and other options are similar to purchase invoice. How to create purchase challan? How to create purchase bill? How to add opening stock? Option: Transaction -> Stock Entry -> Opening Stock List for Opening stock vouchers will be displayed. Press INS or click on NEW button to add entry. In Opening Stock entry, enter details like Voucher Date, Voucher No etc., than enter opening stock detail, like Product Name, Qty, Rate and Amount. Details of more than one product can be entered by pressing enter on blank line. To edit existing entry, press ENTER on that entry and press CTRL+Y to delete entry. How to add journal entry? Option: Transaction -> Journal Entry List of voucher types (Cash Receipt / Cash Payment / Bank Receipt/ Bank Payment / Contra) will be displayed. Select required voucher type and press enter. Voucher list for selected voucher type will be displayed. Press INS or click on NEW button to add entry. Here enter detail like Voucher date etc. and enter multiple detail of entry. Here first account will be always Cash / Bank Account. Where I can find pending payments of party? a) Simple In simple method party’s receipt / payment is adjusted against net balance. Option: Report -> Outstanding -> Receivable for simple receivable report. Option: Report -> Outstanding -> Payable for simple payable report. Option: Report -> Outstanding -> Pending Cash Memo for pending Cash Memo list. b) Bill To Bill In this method party’s receipt / payment amount is adjusted against particular Bill. Also there is provision for on Account balance. Option: Report -> Outstanding -> Bill wise Receivable for bill to bill receivable report. Option: Report -> Outstanding -> Bill wise Payable for bill to bill payable report. On selecting above options, different report format list will be displayed, select appropriate format to view report. Note: a) To activate Bill to Bill outstanding, go to Setup -> Company Setup > General Options and set Bill to Bill Outstanding option to Yes. b) For Graph of Monthly Receivable / Payable, press CTRL+G or click GRAPH. c) To print Collection Letter or current report, press CTRL+P or click PRINT. d) To send outstanding SMS to parties, press CTRL+M or click SMS. e) To send outstanding E-Mail, press CTRL+E or click E-MAIL. f) To view analytical reports like payment performance, press CTRL+A or click ANALYSIS. How to add credit/debit note with stock? Option: Transaction -> Stock Entry -> Credit Note Transaction -> Stock Entry -> Debit Note List for vouchers will be displayed. Press INS or click on NEW button to add entry. In Credit / Debit Note entry, select Party Name. If you want to give effect of this CN/DN into party’s account than select Account in Adjust In. If you don’t want to give effect in account but to adjust amount of this CN/DN into Sale/Purchase invoice than select Invoice in Adjust In. Enter stock detail, like type of claim (expiry/breakage/non-moving etc. ), stock effect of this entry (Yes/No), Product Name, Qty, Rate and Amount. Details of more than one product can be entered by pressing enter on blank line. To edit existing entry, press ENTER on that entry and press CTRL+Y to delete entry. Enter details of expenses (Freight/Discount etc.) and VAT/GST and press CTRL+ENTER or click on OK button to save entry. How to add stock journal/production entry? How to add GST Credit Note/Debit Note and GST Expense Entry? Option: Transaction -> GST Entry ->Journal Entry GST Expense:- List of vouchers are displayed here, Press INS or click on NEW button to add entry. Here enter Details like Party Name, GST Type, Expense A/c and Tax Class. GST Credit Note/Debit Note:- List of vouchers are displayed here, Press INS or click on NEW button to add entry. Here enter Details like Party Name, GST Type, Expense A/c and Tax Class. Where I can find sale/purchase bill reports? Option: Report -> Register -> Sales Register Option: Report -> Register -> Purchase Register By selecting above option, different type of Sale/Purchase register formats will be displayed. Select desired format and press enter to view report. Where I can find current stock report? Option: Report -> Stock Reports -> Product Ledger By selecting above option, different type of product / stock report formats like Product Ledger, Stock Statement, and Stock Statement on Amount etc. will be displayed. Select desired format and press enter to view report. In this report, ledger of particular product can be viewed by pressing ENTER on that product. Note: To view analytical stock reports like Stock FIFO report, Negative Stock report, Multi Product Ledgers etc., select Product Ledger Report format and press CTRL+P. Option: Report -> Stock Reports -> Party wise Report By selecting above option, different type of party / product wise sales and inventory report like Party wise Issue Summary / Receipt Summary can be viewed. Select desired format and press enter to view report. Various other reports like Batch / Location wise, Serial No. Stock, Scheme Report, Packing Stock Report etc. depending upon software version and options selected in setup can be viewed / printed from this menu. How to create GST Return files? Option: Report ->GST ->GST Return Above option generates statutory GST Forms as per Government’s GST calculation reports like GSTR-1, GSTR-2, GSTR-3B, GSTR-4 etc. Where I can find GST report? Where I can find GST sale/purchase register? How to find error in GST report? Where I can find account/party ledger? Where I can find report of my current cash amount? Option: Report -> Account Books -> Cash Book List of Accounts under Cash In Hand group will be displayed. In this list press enter on Cash account to view cash book of that account. Note: a) To view / adjust Negative Cash, press F4 in Cash Book report. b) All above features explained in Ledger works in Cash Book also. How to find bank transaction details? Option: Report -> Account Books -> Bank Book List of Accounts under Bank Accounts / Bank OCC Accounts group will be displayed. In this list press enter on any bank account to view bank book of that account. Note: a) For Bank Reconciliation, press F6 in Bank Book report. b) All above features explained in Ledger works in Bank Book also. Where I can find my daily transaction? Option: Report -> Account Books -> Day Book By selecting this option, day book will be displayed. To select / deselect voucher types which are included in this report, press F4. Note: All above features explained in Ledger works in Bank Book also. Where I can find my balance sheet report? Trial Balance Option: Report -> Balance Sheet -> Trial Balance By selecting this option, Trial Balance will be displayed. Here press CTRL+F2 or click on FORMAT to change display format, press ENTER on any account or click LEDGER to view account ledger of that account and CTRL+F3 or click on SETUP for report setup. Trading Account Option: Report -> Balance Sheet -> Trading Account By selecting this option, Trading Account will be displayed. Here press CTRL+S or click on SCHEDULE SETUP for schedule wise printing setting, press CTRL+M or click on STOCK METHOD to set stock calculation method, press CTRL+Z or click on STOCK to give stock value if stock method is NONE. Profit & Loss Statement Option: Report -> Balance Sheet -> P & L Statement By selecting this option, P & L Statement will be displayed. Here press F4 or click on TRADING A/C for Trading A/c and F3 or click on Auto Entry for Auto Voucher Entry of expenses etc. Balance Sheet Option: Report -> Balance Sheet -> Balance Sheet By selecting this option, Balance Sheet will be displayed. Here press F4 or click on P & L A/C for Profit & Loss Statement and F3 or click on Havala Effect for virtual Havala effect. Where I can find my daily status report? Option: Report -> Analytical Report -> Daily Status By selecting this option, Status report of current date will be displayed. In this report, Cash & Debit Sale / Purchase transaction and Receipt & Payment of Cash & Bank accounts will be displayed. How to find my performance report? Option: Report -> Analytical Report -> Performance Report In this option, 3 year’s Group wise comparison analysis will be displayed. Press F5 or click on RATIO ANALYSIS for different type of analytical ratio. Where I can find sale/purchase reports? Option: Report -> Analytical Report -> Sale / Purchase Report This option displays different types of Sales & Purchase analytical reports. How to search party wise report? Option: Report -> Analytical Report -> Party wise Report This option displays different types of Party / City / Area wise Sales & Purchase analytical reports. How to find account wise transaction report? Option: Report -> Analytical Report -> Account Analysis This option displays different types of Account wise transaction analysis reports. How to add cash/bank payments? 1. Quick Entry Quick entry is simplest and quickest way to enter cash / bank transaction. Option: Transaction -> Quick Entry -> Cash / Bank Here select Cash / Bank account from list, than select receipt or payment.List of vouchers of particular type will be displayed. In this list: a) To enter new entry, go to blank line and press Enter. Enter Voucher Date, Voucher / Cheque No, Account Name, Amount and Narration. b) To edit existing entry, press Enter or click on EDIT button and to delete, press CTRL+Y or click DELETE. c) To change voucher type (Receipt/ Payment) press F3 or click VOU. TYPE. d) To change Cash/Bank account, press F4 or click CHANGE A/C. e) To change date range, press F2 or click DATE f) To audit existing entry press TAB or click on AUDIT 2. Simple Entry Option: Transaction -> Cash/Bank Entry List of voucher types (Cash Receipt / Cash Payment / Bank Receipt/ Bank Payment / Contra) will be displayed. Select required voucher type and press enter. Voucher list for selected voucher type will be displayed. Press INS or click on NEW button to add entry. For Cheque Book (Bank Payment) & Slip Book (Bank Receipt) entry, select proper bank account, and enter details like voucher no., date, account name amount and narration. For Cash Receipt / Payment entry, select Cash Account and enter details. Note: For additional details in cash/ bank entry like Kasar/ Discount/ Bank Commission etc., we can create Entry Type/Extra details from Voucher setup. 3. Multiple Entry To enter details of receipt / payment of multiple accounts. Where I can find my monthly fund flow? Option: Report -> Analytical Report -> Fund Flow This option displays month wise working capital in & out flow. Where I can find my monthly cash flow? Option: Report -> Analytical Report -> Cash Flow This option displays month wise cash movement. How to find account interest report? Option: Report -> Other Report -> Interest Report This option is used for Interest calculation (Simple & Compound) with option for Havala & TDS. How to find party wise bill to bill interest report? Option: Report -> Other Report -> Bill wise Interest This option is used for Bill to Bill Interest calculation (Simple & Compound) with option for Havala & TDS. Where I can find pending declaration form report? Option: Report -> Other Report -> Forms Report This option generates different types of Pending declaration forms report. Option for printing Form collection letter is also available. Option: Utility -> Havala -> TDS -> TDS Payable This option displays report of TDS to be deducted by us and payable to government. Press CTRL+H or click on HAVALA to generate TDS Havala. Option: Utility -> Havala -> TDS -> TDS Deducted by Other This option displays report of TDS to be deducted by opposite party. Option: Utility -> Havala -> TDS Challan Once TDS Havala is done from above option, this option generates Form 16 A and other TDS related reports. Note: Definition of TDS (rate of TDS / Limit etc.) can be given at the time of Account opening or from Option: Utility -> Havala -> Havala Setup. How to find havala interest report? Option: Utility -> Havala -> Interest This option displays report of interest payable on Secured/ Unsecured loan accounts. Press CTRL+H or click on HAVALA for Havala entry. Where I can find fixed assets accounts in havala? Option: Utility -> Havala -> Depreciation This option displays Depreciation chart of Fixed Assets accounts. Press CTRL+H or click on HAVALA for Havala entry. How to find profit share of capital accounts? Option: Utility -> Havala -> Capital This option displays profit share of Capital accounts. Press CTRL+H or click on HAVALA for Havala entry. Note: Definition of Interest / Depreciation / Capital can be given at the time of Account opening or from Option: Utility -> Havala -> Havala Setup. How to create New Year in my company? Option: Utility -> Year End -> New Year Use this option to create new financial year. What happens if I change transaction in my previous company and how to fix it? Once year is created and you change transaction in Previous Year, than use Option: Utility -> Year End -> Update Balance option in Previous Year to update account and stock balance in new financial year. What is the use of audit data? Audit feature is used to tally/ check already entered data. By using Audit option we can mark a Voucher as checked or audited. To Audit any entry in any report, Press TAB on that entry or click on AUDIT button. Check () sign will appear in that entry. We can also password protect / lock audited entry. To password protect entry, go to Option: Setup -> Company Setup -> General Options and set Lock Audited Vouchers option to YES. If you want to enter password at each audit than set Password at Each Audit option to YES. Is it possible to freeze/lock data in my company? Option: Utility -> Advance Utility -> Data Freeze Data freeze option is used to lock data of particular date range. It is also possible to freeze data of particular voucher type. Where I can find address book of party? Option: Utility -> Personal Diary This option provides utilities like Reminders, Appointment, Address Book, Mail merge letters etc. How to add journal for credit/debit note? Option: Transaction -> Journal Entry -> Credit Note, Debit note List of voucher types (Journal / Credit Note /Debit Note etc.) will be displayed. Select required voucher type and press enter. Voucher list for selected voucher type will be displayed. Press INS or click on NEW button to add entry. Here enter detail like Voucher date etc. and enter multiple detail of entry, If effect of this voucher should be given in VAT reports, than VAT/GST should be selected in Tax type field.